Let everyone know they'll be expected to unwind and enjoy a drink with our “Pontoon Boat Drinks Print!" This fun vintage-style sign is great lake house decor. 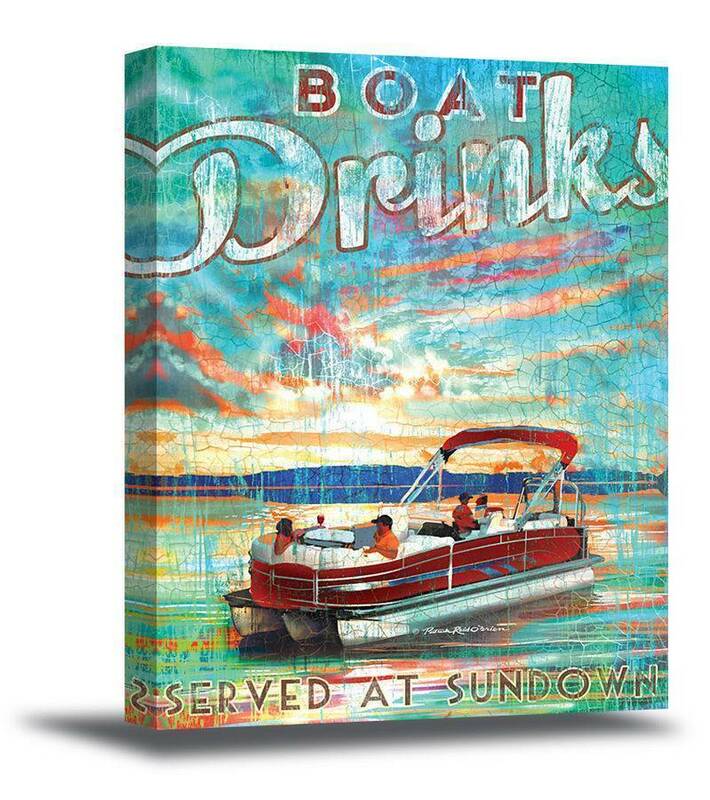 It's artwork that captures the laid-back feel of life at the lake! 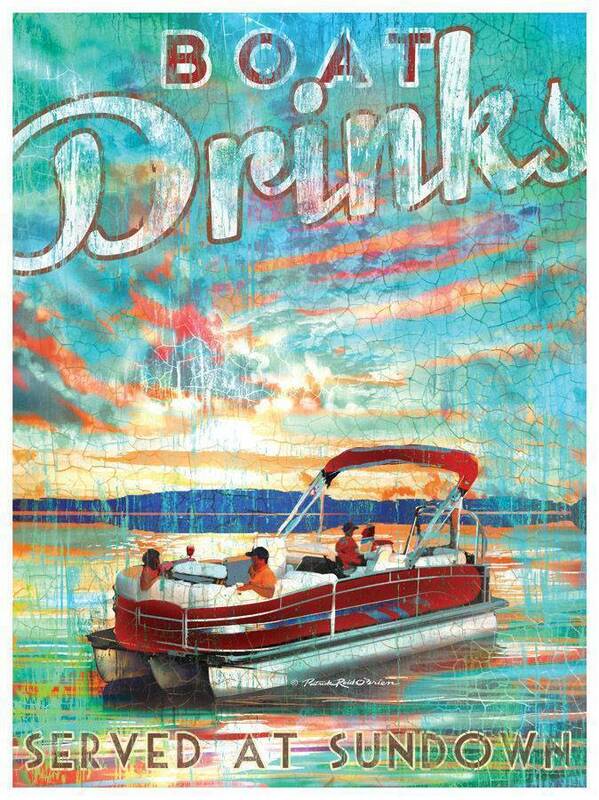 This colorful depiction of a pontoon boat cruising the lake at sunset is by award-winning artist Patrick Reid O'Brien. 12" x 16" Lithograph on paper in a clear display sleeve and mounted on backer board, ready for framing. 18" x 24" Gallery wrapped Gicele Canvas, stretched over a wood frame. 24" x 32" Gallery wrapped Giclee Canvas, stretched over a wood frame. 34" x 46" Gallery wrapped Giclee Canvas, stretched over a wood frame. 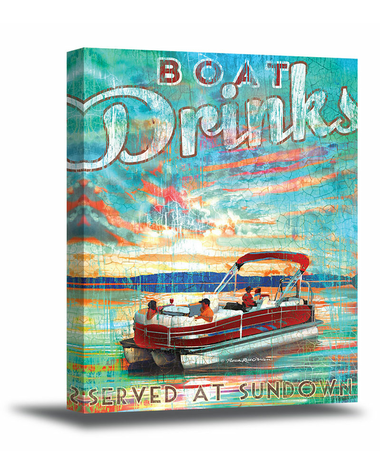 The 34" x 46" canvas art ships directly from the artist and ships in three to four weeks. The smaller items are stocked for immediate shipment.